Our partners are independent consultants located in Kalyana Spa. Treatments can be booked and paid for directly through their own websites listed below. To join our "hub" of local practitioners email us at info@kalyana-spa.com for rates and availability. 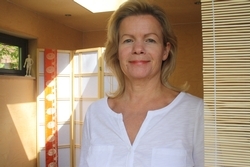 Judi has a BSc in Acupuncture, MBAcC, MRCHM. She focuses on optimising the fertility health of couples using acupuncture, herbs and supplements. With a decade of experience and extensive knowledge, she has achieved a success rate of over 80%. Judi’s treatment of couples as a team over the last 7 years has seen an equal number of men and women improve their fertility. Treating men with herbal medicine and supplements has become a major part of her work, with rewarding results. Successful reduction of ASABs (Anti sperm antibodies) and improvement of ROS (reactive oxygen species) and DNA integrity can be seen with before and after treatment analysis.